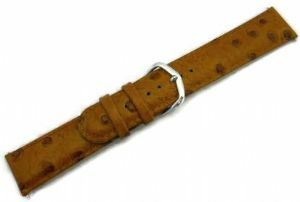 A very popular, Ostrich spot effect padded leather watch strap. Pair of spring bars included. A good company to deal with. Prompt and efficient and nice products. They even upgraded my delivery method because the product I requested was out of stock for two days.